The NSPF and APSP boards say it will be a merger of equals. Following a marathon April meeting in Colorado Springs, USA, the boards of the two dominant organisations in the American swimming pool and spa industry have agreed in principle to unify. 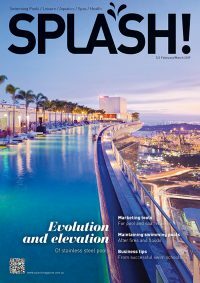 The Association of Pool & Spa Professionals (APSP) mainly covers the residential swimming pool and spa market across the country, while the National Swimming Pool Foundation (NSPF) has traditionally been associated with research in the commercial swimming pool and aquatics arena, although the recent acquisition of Genesis has also given them a foot in the residential sphere. The boards issued a joint statement saying the merger will better support the present and future needs of the industry, and that a process is underway to plan and implement this merger of equals. SPLASH! spoke with NSPF chairman Bruce Dunn following the announcement. He says the idea of a merger had simmered for just under a year, and that once the Genesis acquisition had been successfully completed, they focussed on moving forward with this opportunity. The two boards met at the national trade show, followed by further long discussions between the two chairmen with the result that they both agreed that their respective stakeholders had sufficient interest to pursue the merger. Then, over three days beginning on April 6, discussions began in earnest. “If you’re going to go dinner and you never set the table you’re not going to get fed,” says Dunn. He says that up until last year when they completed the acquisition of Genesis, the NSPF had really been just a commercial oriented institution with a focus on research to keep pools open and people swimming. In 1998 Genesis ruffled feathers when they originally took on the NSPI, which was the earlier incarnation of the APSP, but Dunn says that is all in the past now. He says he has been impressed and enthused by the way the participants in the discussions have put aside any “turf protection” for the good of the industry, boding well for the progress of future discussions. There are many questions surrounding the details such as where the organisation will be centred, what will happen to existing management and staff of the two bodies and what approach will be taken with educational programs. Dunn says that it is still early days, and those details will be ironed out in due course. Regarding management and staff, he says that at this point there are two entities with programs that are already in place that have very key people operating those organisations. He says there is a general consensus that it will probably take somewhere between 12 months and 18 months to work through the due diligence and formulate a collective business plan, although that timeline is not written in stone. The NSPF and its Genesis arm are increasingly reaching more of a global audience. 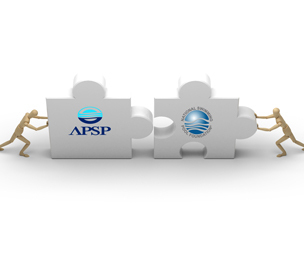 This merger may see a growth in the international influence of the APSP’s expertise as well. “Here’s a pool industry talking about unifying and putting a very specific voice out to the public – and it’s not just the national public, it’s a global public,” he says.